It is personal and emotive. These disputes are often related to old wounds not the assets of an estate. This is again a most challenging area. It is personal and emotive. These disputes are often related to old wounds not the assets of an estate. All issues need to be identified and options generated to assist finding a sustainable resolution. This type of dispute, like all areas of disputes, must be dealt with carefully and sensitively with a focus on the whole picture and consideration of all of the issues involved for the whole of the family and the impact of it long term. 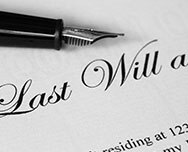 Issues sometimes arise in relation to the powers and actions of trustees appointed in a Will or the actions of a person appointed as an attorney under a Power of Attorney. These disputes may also be mediated in stages or in one lengthy session. Again the process needs to be fluid and flexible and able to adapt to a changing dynamic. The mediation may be face to face or by telephone and can be dealt with as a shuttle mediation. These issues can be mediated even if court proceedings have been commenced and they are often referred for mediation by the Court. We provide all of these services.